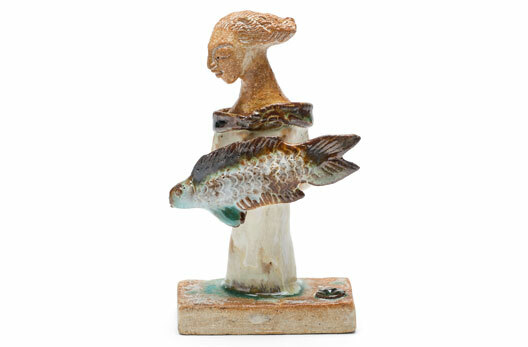 Sculpture has been a life long interest for Shelagh, and since she completed her Studio Ceramics degree in 2000 has used clay as the medium for her artwork. Her work is widely collected. Her pieces have a timeless, narrative quality. Individual figures stand alone, deep in thought, or are joined by a cast of other participants: people, animals and birds. 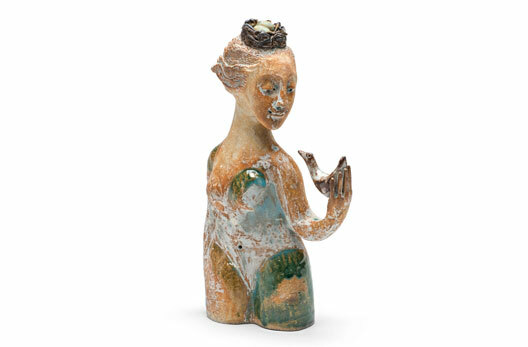 She says: “ My work is evidently influenced by old English ceramics and folk art from everywhere, but I especially love the figures drawn in medieval illustrated manuscripts. I hope that I manage to capture an echo of their spirit in my work”. 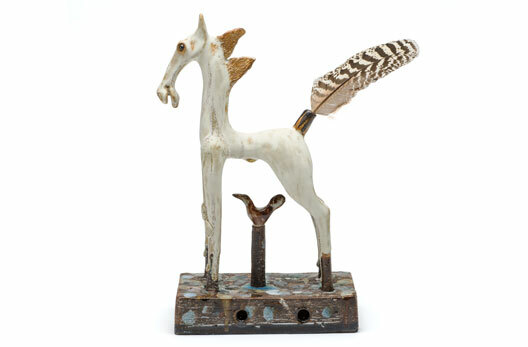 In keeping with her Cornish heritage, she uses clay dug and prepared in Cornwall, and lives and works in Falmouth. She fires to 1215 degrees C. “ I particularly enjoy the opportunity that clay offers for different surface finishes. These are not always predictable and opening the kiln door after firing still has the power to confound or delight”. 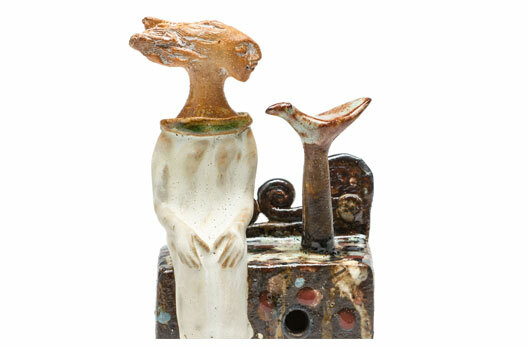 Her pieces have areas of toasted clay next to a cream matt stone-like finish. Additional tonal contrast is sometimes provided by dark slipped areas dappled with small pools of glaze.